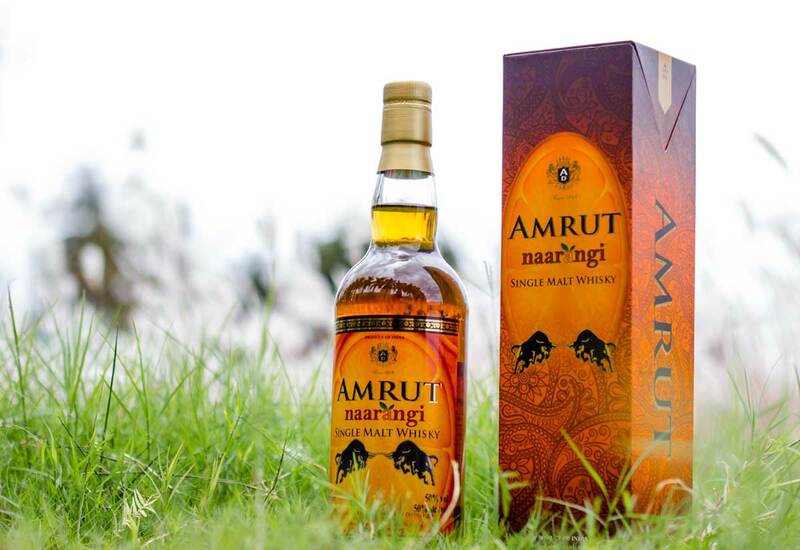 Naarangi yet another innovative release from Amrut. The name is Hindi for 'orange' and the whisky was aged in an ex-oloroso-sherry cask, which was then seasoned with wine and orange peel for three years. A three-year-old whisky was then finished in the cask for a further three years, producing a whisky with extra Orangey notes. Nose : Lightly toasted oak. Orange peel (duh). Dry leaves. Rich sherry. Chocolate. Mint leaf. Cinnamon. Nutmeg. Jute bag. Vanilla. This is a super rich nose and the orange is quite prominent, though, thankfully it does not overpower. Amrut noses are seldom flawed and neither is this one. 22/25. Taste : Good weight. Nice body. Coats the mouth with chocolate. Cinnamon. There’s that orange again. But more of an orange cake this time. Oak. Black pepper. Ginger. This is a nice twist. Makes me want to bust out my Compass Box Orangerie and conduct a head to head. This ticks just the right amount of unusual for me. 22/25. Finish : Extremely long. Oily. Lip smacking cinnamon. Best of part of the experience. 23/25.